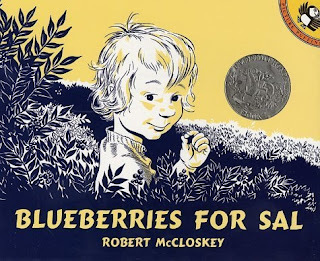 One of my favorite children's books is Blueberries for Sal. We read this book a lot at our house! It's created quite the excitement for buying blueberries at the grocery store! 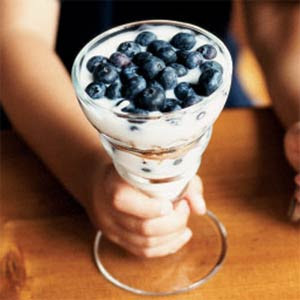 This is our favorite blueberry treat right now: Layer fresh blueberries, plain or vanilla yogurt, and granola. My favorite granola right now is Kashi's Orchard Spice. Costco has a box of individual packages on sale, so we've stocked up! It's got the best cinnamon taste that goes perfect with fresh blueberries! Yum!